On-demand music streaming services are becoming increasingly popular these days. Vendors like Spotify, Pandora and iHeartRadio, are some of the best choices for music lovers. This includes the huge community of music teachers and students. By signing up to one of these music streaming services, you can practically enjoy the premium services they offer- from unlimited music streaming to offline audio playback and real-time music access across all your devices. Some of them even offer live broadcasts of featured radio stations across the globe. However, with so many features, it can be confusing deciding which music streaming service covers all your needs. In this post, we’ll give you an in-depth comparison of Spotify, Pandora and iHeartRadio in terms of features, price, user experience and device compatibility. 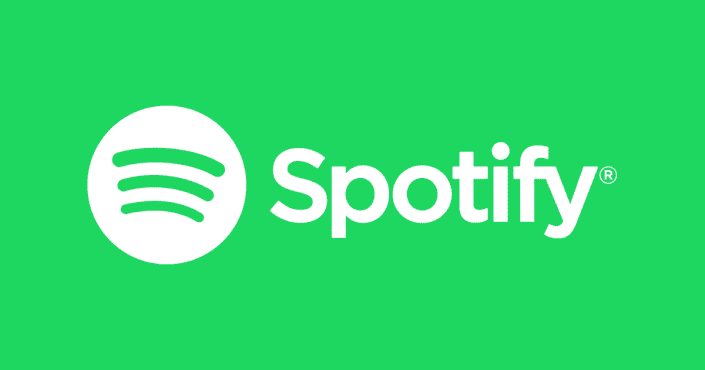 Spotify, boasting over 20 million tracks, claims that it has more than 50 million paid subscribers worldwide, and is now available in 56 countries. Looking for a song in its search box will present you with the most popular and relevant track or album as the top result. It also allows you to filter your searches based on individual artists/bands, playlists, and albums. An interesting inclusion to its streaming service is the “radio option” that plays the kind of music that is relevant to the genre of your chosen artist. In its browse section, you can search for thousands of tracks based on the following categories: top lists, new releases, mood, pop, party, workout, rock, chill, urban, club and many more. The streaming services from Spotify can be enjoyed using a Web player, a dedicated Windows/Mac desktop program, or through its Android, Windows Phone, BlackBerry and iOS applications. With a bit rate quality of up to 320kbps, the audio output of Spotify is superb. Basic subscription is free if you don’t mind ads in between tracks. This type of subscription is also limited to playing music on shuffle mode only. The premium service, which includes the ability to download up to 10,000 tracks for offline listening, is offered at $9.99 per month. However, your mobile capacity will still dictate the number of songs you can store offline. Using streaming services to play pop songs? Check out Tim Topham’s lesson plans from his 4 Chord Composing course. Pandora functions a bit differently to Spotify, but it might just be exactly what you’re after. By searching an artist, genre or song into Pandora, you will be able to find ‘Radio Stations’, or in other words, playlists. Basically, Pandora uses your searches to find music that has similar qualities. For example, if you search Bob Dylan, you will be able to listen to ‘Stations’ which include a whole range of music that has similar qualities to Bob Dylan. It’s pretty interesting, and you will be able to listen to music you have never even heard of before. You can also react to the songs you’re listening to with a thumbs up or down, which will tell Pandora what type of music you like to listen to. It’s pretty cool, hey. You can also create your own ‘Radio Stations’, and listen to Pandora on a range of devices. Okay, so how much does it all cost? Well, if you can put up with the ads, it’s all free. But if you’d like ad-free music streaming and listen to up to three stations offline, that’ll cost you $4.99 and month. That package is called Pandora Plus. The Pandora Premium package costs $9.99 a month and gives you ‘unlimited skips’, no ads, higher audio quality and offline listening for all your stations. Does it compete with Spotify? I’m not so sure. But have a play around, check out their free one month trial and maybe it’s the music streaming service for you. Do you need to give your studio website a revamp? Hear from our expert teacher Nicola Cantan on how to create a fantastic studio website. Unlike the first two we’ve mentioned, the iHeartRadio is a free radio-style streaming service that is available on a range of platforms: Android/iOS handsets, Kindle Fire, Windows 8, Mac, Windows Phone 8, and web browsers. In here, you can listen to over 15 million songs on its catalogue and stream radio from over 1,500 AM and FM Live radio stations across the globe. It also provides an intelligent search bar which allows you to look for your favorite music by typing the album title, track, and artist through its audio quality of 128 kbps. Since it’s free, it’s expected that the ability to record your favourite songs for offline playing is not available. However, you are still allowed to create your custom radio station and playlist for easier access the next time you log into your account. Skips are also disabled. Upon searching for your choice of song, you’ll be presented with a playlist or custom radio station containing a minimum of five songs, including your preferred track. You’ll still have to wait before you’ll be able to listen to it. But the best thing about this service is that the custom radio stations and playlist are completely advertisement-free. iHeartRadio is available in all regions of the United States and have extended their coverage to Australia and New Zealand since July 2013. As an extra benefit, the music streaming platform regularly hosts online concerts and music festivals with guest DJs and artists. Related: The future of piano teaching – what does it really look like? These are three of the best and most popular music streaming services on the market. Based on features, Spotify is still the ideal choice for music enthusiasts. Apart from its multi-platform support and over 20 million+ songs in its catalogue, you also have an option for offline listening. Perfect for travellers, this on-demand music service features the widest coverage in over 50 countries. Spotify also gives you to power to search for your favorite tracks individually, without requiring you to listen to the entire playlist. What is your go-to music streaming service? What would you recommend to your fellow piano teachers? Leave your queries and questions in the comments section below. Jennifer Birch is obsessed with music. As a freelance blogger, she follows a variety of music learning resources and uses several digital instrumental apps on her iPad. The Future of Piano Teaching: What Does it Really Look Like?